As our first post – on August 1, 2011 – I would like to explain that the mission of the Fra Angelico Institute for the Sacred Arts is to promote the creation of Christian sacred art and unite the creative process to the artist’s personal prayer life. Over the coming months we will be discussing various topics within the sacred arts, the creation of sacred art, important sacred artists from the past and present, and the development of our personal prayer life in union with our personal creative efforts. The Fra Angelico Institute for the Sacred Arts was founded by myself and my wife Jackie in 2009. I am an ordained Roman Catholic deacon in the Diocese of Providence, Rhode Island. Professionally, before my retirement, I was a teacher of history and the humanities. I have studied and created sacred art since 2006. I am a sacred image painter. In my very first sacred art workshop, that was conducted by the talented and very fine teacher, Rev. Peter Pearson, I was profoundly struck by the impression that the actual creation of sacred art was of great importance to the improvement of my own personal prayer life. As I followed Peter’s directions in the creation of a sacred image, I realized that the truly spiritual connection I was experiencing was not the result of anything artificial, rather, it was the yearning of my soul to “connect” with the Person coming into view on the wooden panel (the image that I was painting was an interpretation of St. Andrei Rublev’s icon of Jesus). It became very clear to me, as it had to so many other artists down through the centuries, that the creation of sacred art, regardless of what medium or form it takes, is a profoundly spiritual and prayerful act – IF – the artist decides to open up their mind, heart, and soul to the whispers of the Holy Spirit. Join Us In This Exciting Adventure! We think that the Institute is an exciting adventure in art and prayer. Currently we have over twenty people from the Diocese of Providence who are members, and, a few from out of state. The ideas and images that you will be seeing are meant to be educational, inspirational, and practical in the improvement of your development as a sacred artist. You may be a seasoned artist – secular or sacred, or, you may be a complete novice – all are welcome. In future posts I will explain the different categories of art you may want to explore and – if you are an experienced artist – display and express your creativity in the galleries on this site. As Roman Catholics we have a specific theological perspective and faith tradition, however, please consider following us if you are from a different Christian denomination. After all, my teachers of sacred art are Episcopalian, Russian Orthodox, and Roman Catholic; and the participants in the sacred arts workshops that I have attended have been from many different Christian and non Christian denominations. Thanks for your interest and we look forward to your comments. What is a Sacred Arts Guild? 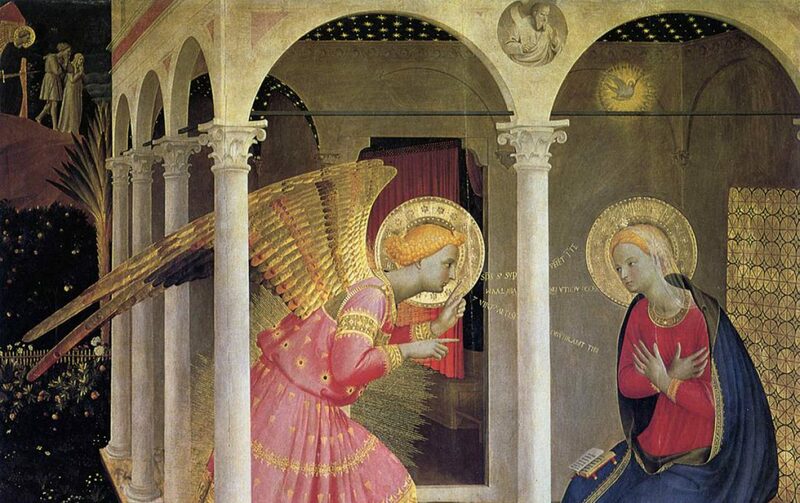 Much teaching in all articles written by Fra Angelico Institute For The Sacred Arts. Thanks for sharing. God bless you,Daniel. Many thanks for directing me to your site. Best of luck. Glad to see the website up and running! Can’t wait to see what happens next. Thanks Eden for your support!